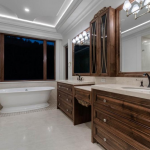 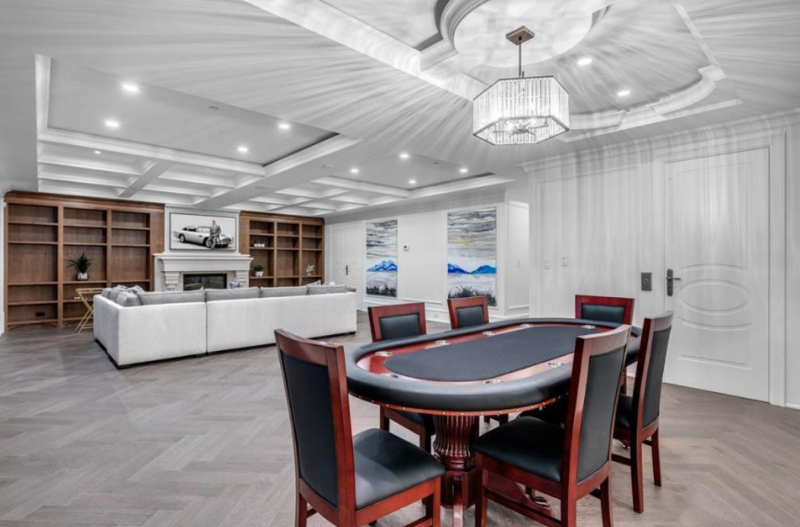 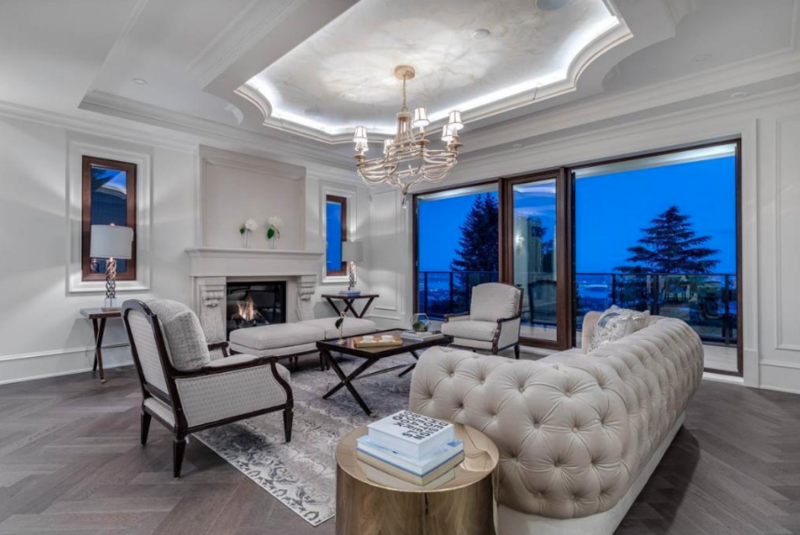 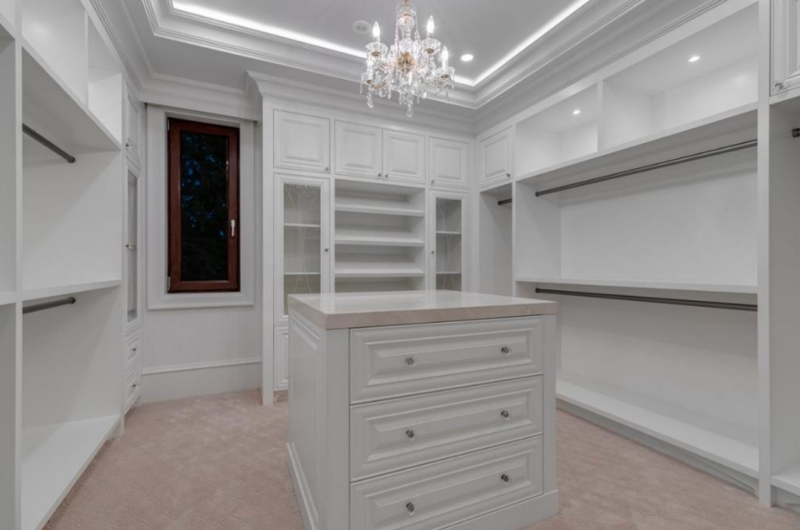 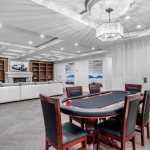 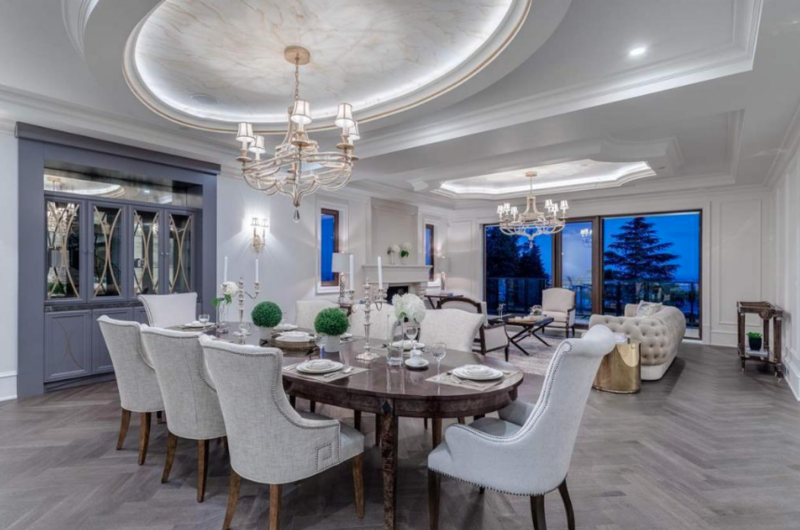 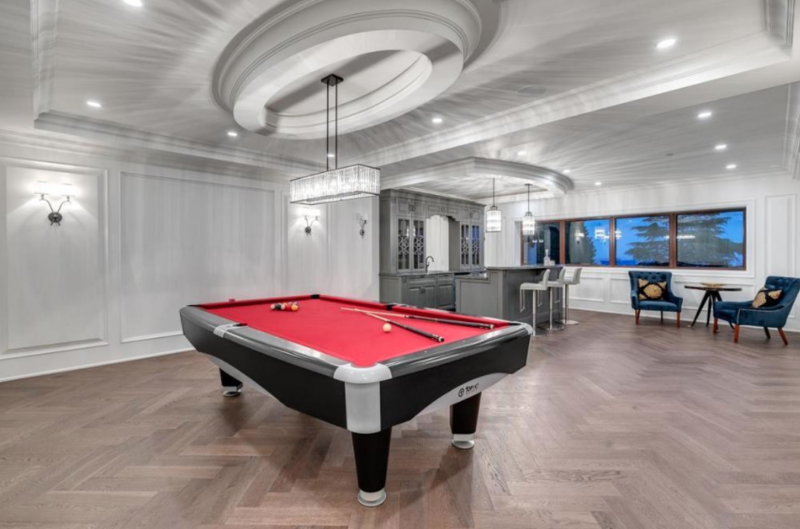 This newly built home is located at 1421 Bramwell Road in West Vancouver, British Columbia, Canada. 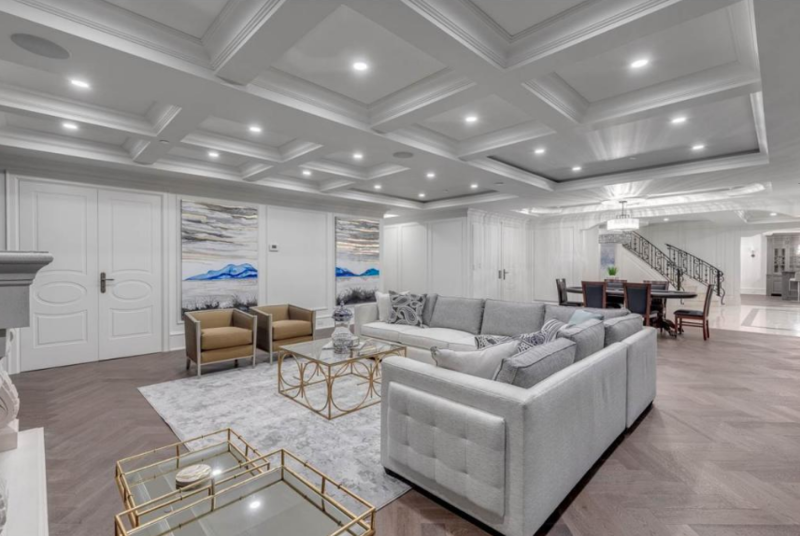 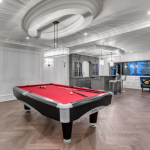 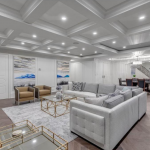 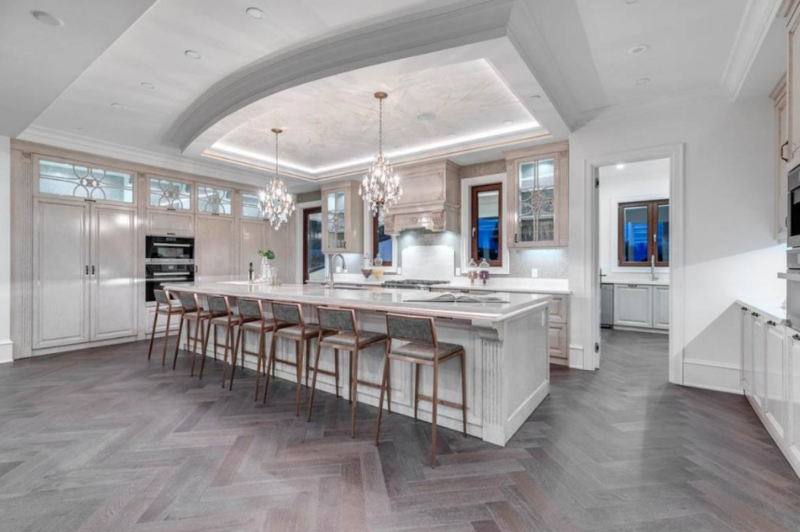 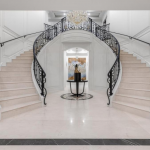 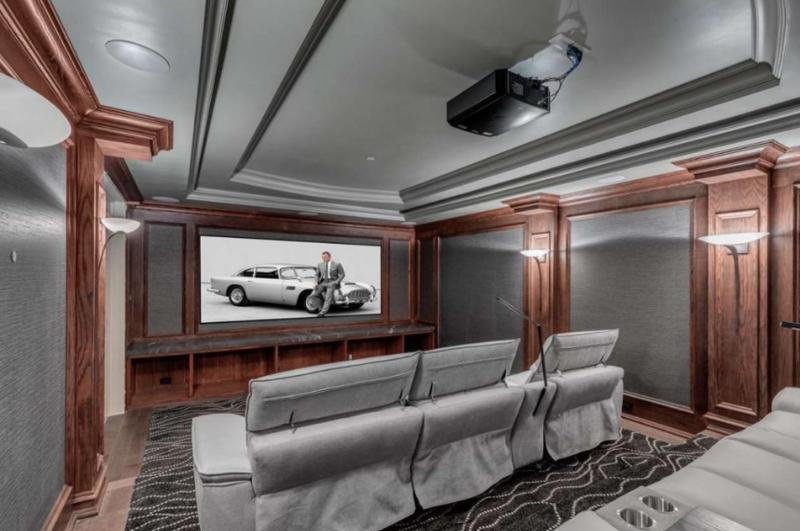 It features approximately 10,420 square feet of living space with 5 bedrooms, 8 bathrooms, foyer with double staircase, formal living & dining rooms, gourmet kitchen, breakfast room, family room, rec room, billiards room with wet bar, wine cellar, home theater, gym, garage and more. 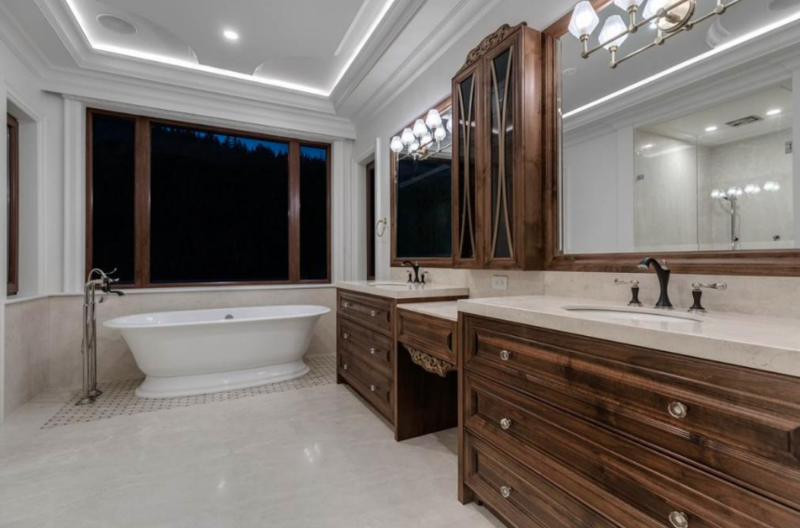 Outdoor features include terraces and a swimming pool. 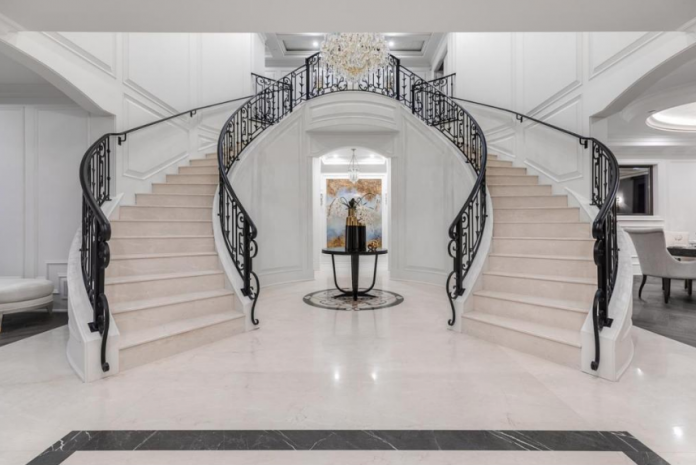 It is listed at $17,888,000.